New car assessment programme recognises safety technology content of Peugeot 3008 in Australian market. The new Peugeot 3008 has entered the popular Small 4-wheel drive segment in Australasia with a 5 star ANCAP (Australasian New Car Assessment Programme) safety rating following good results in physical testing and the presence of an advanced speed assistance system. 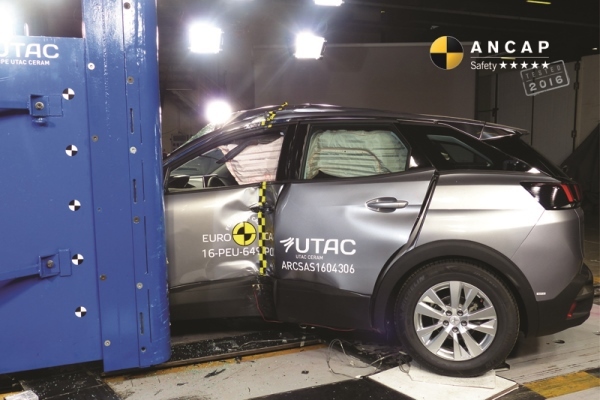 The results were based on tests performed for EuroNCAP. However, it’s in the advanced active safety systems that the Peugeot SUV excels. Always having taken a pioneering approach to advanced safety technology in its vehicles, the French manufacturer has taken Advanced Driver Assist Systems (ADAS) a step further in the 3008.